Good news! If you’ve been excited to see Dragon Ball Super with official English subtitles, you will be able to very soon. Starting on October 22, fans will be able to stream an episode 63 simulcast, complete with English subtitles. Toei Animation Inc. will debut an English subtitle simulcast of Dragon Ball Super on multiple digital platforms. 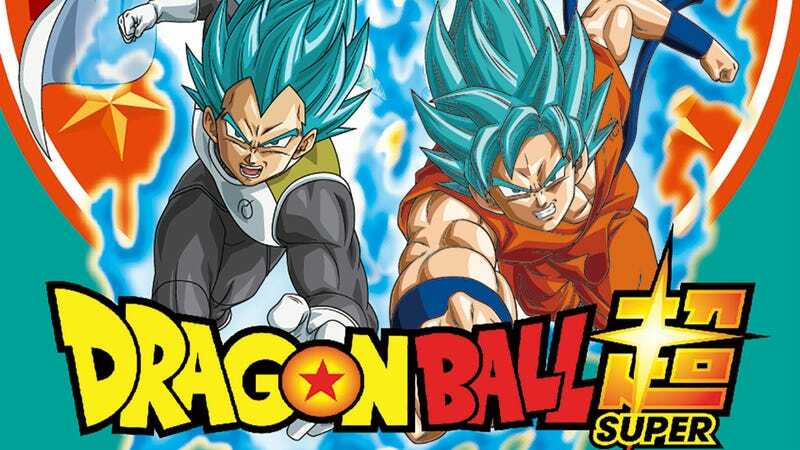 For the first time, fans in North and Latin America, South Africa, Australia and New Zealand will be able to view Dragon Ball Super simulcast. Since its debut in Japan in July 2015, the hit follow-up to one of the greatest anime series of all time has been eagerly awaited by followers around the world. Through non-exclusive streaming partnerships with Crunchyroll, Daisuki.net and Anime Lab, Dragon Ball Super will finally be available. Kicking off on Saturday October 22 at 6:00pm PST, viewers of Crunchyroll, Daisuki and Anime Lab can log in for a non-exclusive English-subtitled simulcast of episode 63, “Don’t Define Saiyan Cells! The Curtain Rises on Vegeta’s Intense Battle! !” which leads into the thrilling conclusion of the “Future Trunks Arc.” Audiences will get to join Japan live during the broadcast, and then tune in weekly for future new episodes. Crunchyroll: USA, Canada, Australia/New Zealand for subscription viewing on demand (SVOD) and advertising video on demand (AVOD). Latin America and South Africa can only be viewed on SVOD. Dragon Ball Super’s fourth arc features the return of Future Trunks. Hunted by a mysterious being bent on destruction, Future Trunks is brought into a fight spanning time and space. Episode 63 follows Future Trunks’ epic battle against Goku Black, and Goku’s acquisition of the powerful “Evil Containment Wave” technique. To prepare for episode 63’s debut, viewers will also be able to stream the entire Future Trunks arc (the arc begins at episode 47). Then, starting on October 30, the complete series will roll-out, with 10 episodes released a week at a time. “Patience always pays off, and we’re delighted to finally share Dragon Ball Super with our fans around the world. And believe me when I say there’s more to come. Stay tuned for additional exciting news before the end of the year!” said Masayuki Endo, President of Toei Animation Inc.